There are affiliate links in this post. If you click one of these links and make a purchase I may receive a small commission. Thank you for supporting Townsend House! kids home all day every day – how do you keep them entertained?! bit of a different approach to the summer. enjoy the freedom of doing whatever we wanted throughout the day. implement a regular rhythm into our days that encourages learning. as well, but for the most part, my kids want to be outside, in nature. 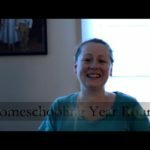 How do you plan for a summer Homeschool Rhythm? three times per week during the summer. will work independently for a little while. you thought about during the school year, but didn’t have time to fit in? isn’t the only part of our summer rhythm. every day, and spreading those out over an entire year makes it work for us. our other subjects will be added in. Thanksgiving/Christmas holidays which is always a bonus! parameters for your children before they have screen time in the summer? 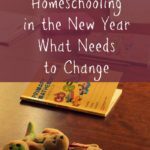 Homeschooling kids seems really challenging – so massive kudos to you. I wouldn't know where to start, be it for summer or full time! I think homeschooling children seems quite challenging (to me at least!). However, it's good to maintain educational activities even throughout the summer for sure! I would love to homeschool but I just don't have the patience for it. I wasn't meant to be a teacher. Having a school rhythm is a smart way to keep the learning momentum going at a decent pace. Work gets done, stress is eliminated and learning goals are met. It's a win win. I don't have kids yet but I do believe in keeping them active in the summer too keep their minds learning, even if its going on educational trips, reading books just making it fun and it doesn't hurt to take a few days so they enjoy their summer too. I enrolled my daughter in her first summer playschool last May. She enjoyed it so much, but it was a good thing that it only lasted for 3 weeks. 🙂 For her screen time, my guide is that it has to be at least 11 am before she does any TV time. I want to do some schooling with my daughter now that she is out too. I want to keep her fresh through the summer for kindergarten. I'm homeschooling my kids next year and I really need to sit down and get a schedule together. I need to map it all out to help limit the stress for next year! I like the idea of keeping more relaxed rhythm during the summer so they get a break but everything doesn't completely fall apart! 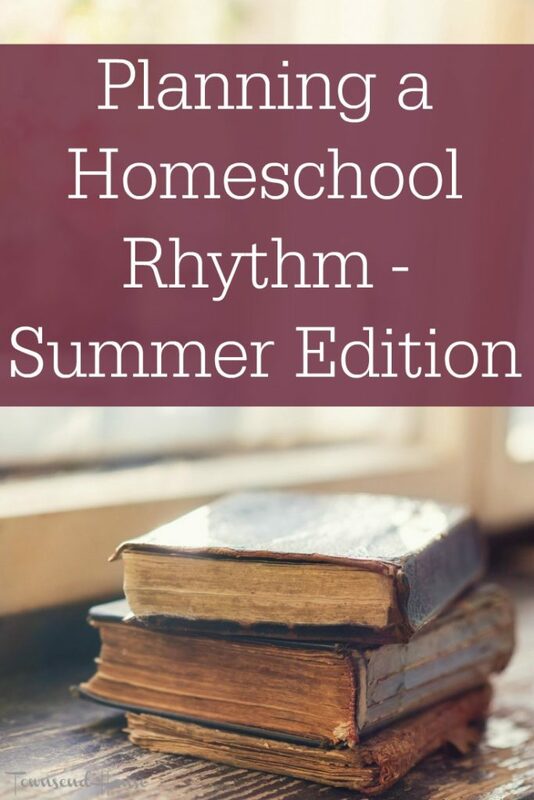 I think Summer Homeschool Rhythm is a great idea. Once my son is old enough for this, i will definitely consider this one. My daughter is a preschool teacher so she sets the parents up with work over the summer. I am amazed at what children are learning at such a young age. 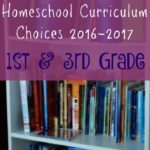 I have never set up a homeschool curriculum before, but science would be amazing to study in the summer! There is just so much opportunity for it, especially anatomy and physiology. Going to a baseball game could be a lesson. My kids used to be cyber schooled but not anymore. My son is in advance classes in school which is like taking college courses. The teacher gives him summer work and gets graded before school starts again. 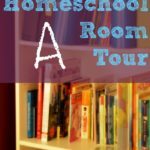 We do not homeschool but over summer I want to make sure we do still have educational experiences. My daughters are always on the go but we are learning as we go! I also agree to some comments here, Summer activities should be a little light and easy, in away not to stress the children. But still even with hard subjects, it would be easy as long as it is full of fun. I have some good friends that are about to start homeschooling with their kids. I'm going to pass this on to her. Great read! My son just turned four so this will come in handy this Summer as I'm home with him this Summer. So much fun lol. Summer schooling is definitely something that needs to be on a schedule. It can really be tricky to get everyone on the same one. My daughter is an adult now but when she was a kid I would plan activities that encouraged learning. Whether it was going to camp, reading from a book list, exploring outside, or doing fun projects. Summer is a great time to keep the learning going without a rigid schedule. Summer here in our country (Philippines) is over. Hope I was able to read this 2weeks ago but then.. I should still save this article! After lunch is perfect during the summer because 12:30-3 tends to be the warmest part of the day. This way, the kids can get active play in the morning and later when the sun doesn't pose as much of a threat. Great tips! I don't have kids, but those ideas sound great to keep them busy and on a learning path. I love your schedule. These are great tips that I can use for my younger siblings. Thanks for sharing. kudos to all you homeschoolers, I don't think i could do it! These are great tips, and can even used for those of that just don't have it in us to homeschool but love to do other activities with the kids! thats a great idea, im teaching my son to draw, and keep the reading work more often, but having him doing science at home, would be so much fun and a great way to learn. Thanks for the advices, my son will apreciatted too. I wasn't homeschooled and I don't know much about it so this is a really interest read! Learning over summer break is an interest question! Think it's great to continue children's learning throughout the break. I don't homeschool, but I still try to teach my kids things during the summer. We're going to Gettysburg in August and I plan on teaching them about what happened there. They know the basics, but not the full story. I give homeschoolers so much credit. I never would have had the patience so I admire those who do. I'm an ex teacher myself, so I find home schooling fascinating, particularly in how to strike that balance between work and the physical activity needed. We are also a homeschool family. We are not year round but we do stay active all year. The summer months are also much lighter for us. I look forward to them because I enjoy the unstructured time. I love being able to homeschool it is so wonderful for our family. I homeschool my daughter, she will be in 7th grade come August. This is our third year coming up, and we've always done a summer break, from June until August. This year we are going to do school differently though, and try out a four weeks on, one week off thing. Of course we don't literally not do school during the summer. I like to make sure she stays reading, so I created a reading log to help her stay on track with reading over the summer months. These are some great tips for people starting out homeschooling. I don't homeschool at the moment but it might be something I might look into for the future . I have not heard of a school rhythm, but it sounds unique and also very good for the children. This way they know what to expect and when to expect it. That seems good. Children do thrive best on schedules so this is a great summer plan! I struggle with messes too, but it is a integral part of learning! We do science in summer, too! It's the best time for doing hands-on science learning. This is great! I am not a home school mom, but this can come in handy in helping the kids stay on track when they aren't going to school every day. I know i couldn't home school, but I like helping with my little ones. Once school ends, we do tutoring once a week until summer is over to keep things fresh. So I guess we kind of go year-round. My husband is a teacher and I know how much work goes into educating our young minds! Props to you! We school year-round, too, but with a lighter summer schedule. I like the idea of working on an intensive subject by itself during the summer.